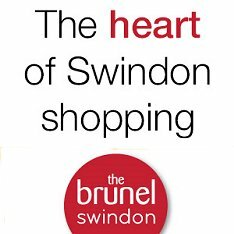 Front Page > Swindon Life > Royal Wool-ton Bassett! 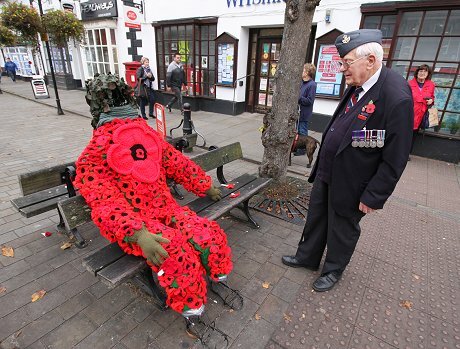 This was the scene in Royal Wootton Bassett first thing this morning as passersby stopped to admire a community remembrance project that's already hitting the national headlines. 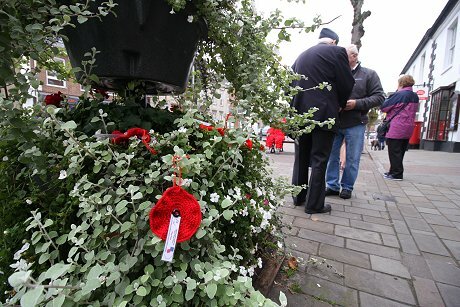 Over 1,600 poppies have been knitted by people in the town after an appeal was made by the Royal Wootton Bassett Community Together [RWBCT] Group, who came up with an idea to mark this year's poppy appeal. 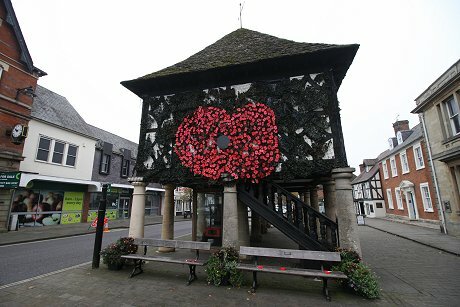 Led by councillor's Linda Flint & Sue Doyle, who first mentioned the thought of doing something 'really special & unique' this year, Council secretary Naomi Coleman co-ordinated the effort over the last 3 months which has culminated in the unveiling of today's display. 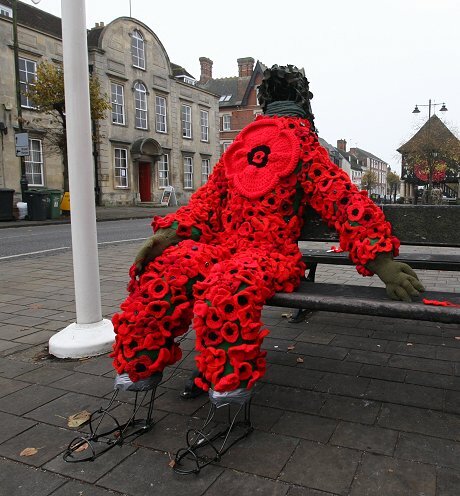 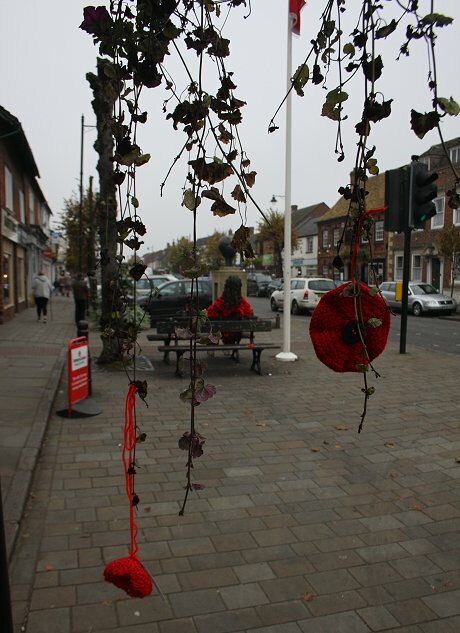 Volunteers also produced another six hundred woollen poppies to make the 'poppy man' show above sitting on a bench adjacent to the town's war memorial. 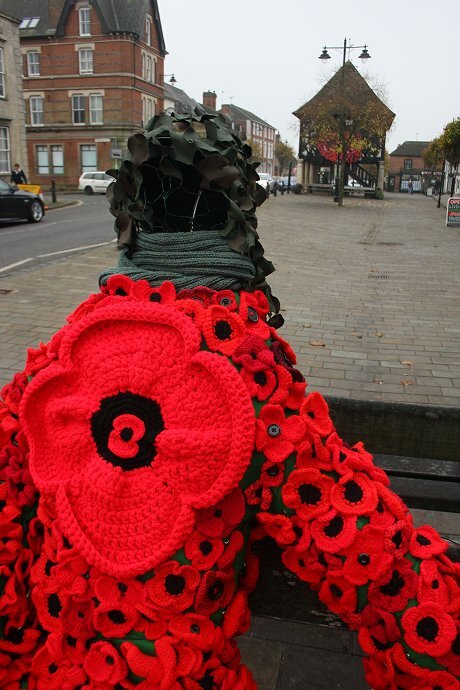 And two hundred foam poppies were also made in to a giant poppy adorning the historic old Town Hall. 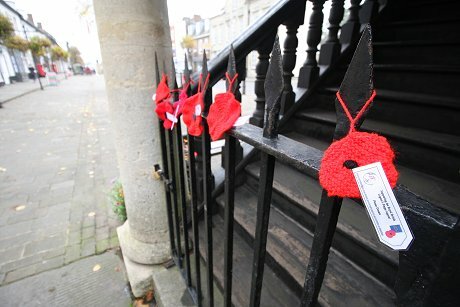 Known as 'yarn bombing', many more knitted poppies have also been scattered around the town on railings and in shop windows as part of Royal Wootton Bassett's remembrance tribute.